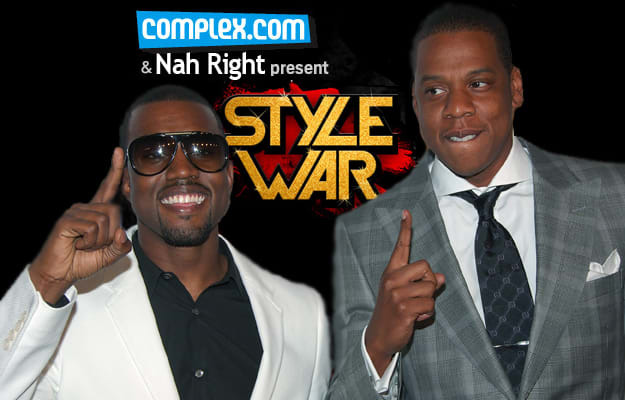 Kanye & Jay-Z Face Off In STYLE WAR: The Final Battle! Little Brother vs Big Brother: Who Will Be #1? These style icons are undoubtably two of the most influential trendsetters in popular culture, but they represent distinct eras: Hov was at the forefront of hip-hop fashion through the &apos;90s and early &apos;00s, while &apos;Ye has made his presence felt in the fashion world since debuting in &apos;04. Who deserves to win the all-time title? It&apos;s up to you. One final reminder to everyone: this competition isn&apos;t about who the better rapper is. This isn&apos;t a popularity contest. STYLE WAR is all about the look, not the lyrics. Cast your votes wisely!